Elegant Engagements Wedding and Event Planners: Knot Best of AGAIN! 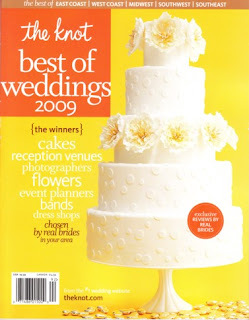 For the 3rd Year in a row Elegant Engagements, LLC has been named by the knot as the Best of Event Planner for 2009. Thank you to all the readers and clients that voted and congrats to all the other winners! Go get your copy - its on newstands now!